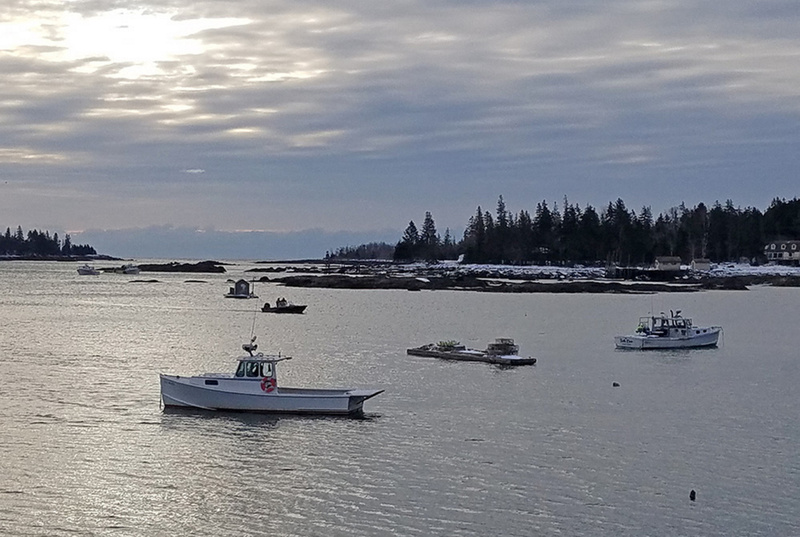 ST. GEORGE — Maine Marine Patrol officers suspended the search Saturday evening for a Thomaston clammer missing since Thursday’s severe winter storm. Early Saturday, family members and fellow fishermen watched as marine patrol divers went out at low tide in frigid conditions to continue the search for Benner, The temperature was minus 2 degrees with a brisk wind at 8 a.m. as the dive team departed from the wharf at the former Great Eastern Mussel Farm property off Long Cove Road. Chief Deputy Tim Carroll of the Knox County Sheriff’s Office said the search Saturday morning was going to focus near Clark Island. Nichole Moose, one of Benner’s three sisters, said that hard work was one of her brother’s qualities. “He is the hardest worker you could possibly meet; hence, his being out in such conditions,” Moose said. The family grew up in the midcoast and Benner, 33, attended the D.R. Gaul School in Union, the Appleton Village School, and Camden Hills Regional High School. He started clamming and lobstering as a young boy with his father, Thurin, Moose said. He also spent several years fishing offshore out of New Bedford, Massachusetts. “He loves his family more than life and is incredibly loyal in every sense of the word. He is quiet and silly and he has a heart of pure gold,” she said. In addition to his parents, three sisters and five nieces and nephews, the Thomaston man has been in a longtime relationship, she said. The marine patrol, the Knox County Sheriff’s Office, the Coast Guard, local fire departments and private individuals turned out Thursday night for the search. It was based at the former Great Eastern Mussel Farm dock, where Benner departed for clamming. The search continued Friday and was suspended at 3 p.m.
Benner was last seen about 6 p.m. Thursday, when he went out on his 14-foot skiff to go clamming. His father reported him missing shortly before 11 p.m.
Benner’s skiff was located about midnight Thursday a few hundred yards from the causeway at Clark Island, which is across the cove from the dock where Benner left. Other equipment from Benner’s skiff, including an anchor and clam gear, were found in the middle of Long Cove at low tide Friday morning, according to the marine patrol, which is heading up the search. In addition to the marine patrol, the Knox County Sheriff’s Office has been involved in the search since Thursday night. Fire departments from St. George, South Thomaston and Thomaston also have participated in searching the cove and shoreline. The Coast Guard on Friday had boats from the stations in Boothbay Harbor and Rockland. A Coast Guard helicopter from Cape Cod also flew over the search area Friday morning. The search began in the wake of a major winter storm that produced near-record high tides, high seas and heavy winds. The National Weather Service reported near-shore seas of 10 to 15 feet. 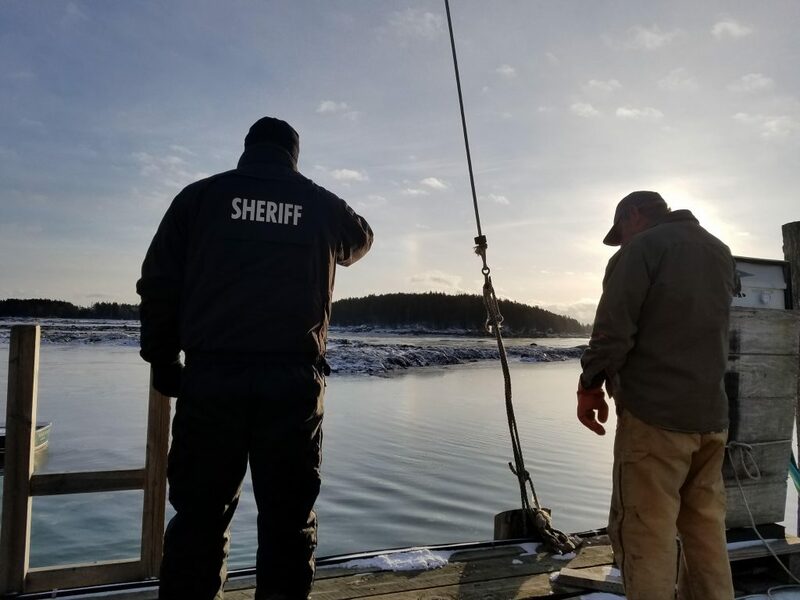 Seas in the waters between Long Cove Road and Clark Island were reported to be about 2 feet early Friday when searchers began their efforts. On Friday night, Moose said she hoped that searchers would find her brother Saturday. “We need to bring him home,” she said. Maine Sunday Telegram Staff Writer Kevin Miller contributed to this report.